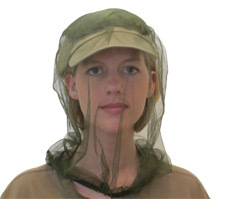 How to prevent mosquitoes entering in your mouth while running? I like to run around lakes and through forests. But when the spring comes and it is wet with high humidity, many little flies and mosquitoes are flying in the air. Thus, sometimes some of these insects will get into my mouth, which is a bit open to get more air when breathing. I tried running leaning my head a bit down, but this is not quite comfortable since the throat is not wide open and less air goes in. What can be done to prevent this situation? Breath through your teeth, that's what we'd do when cycling in NW Ontario, the bugs are horrible there year round. I've inhaled more than one mosquito in my life time, now I just grit my teeth and put on a psycho smile if I'm breathing hard while moving fast through bugs. Of course this method doesn't prevent bugs from getting in your teeth, so you have to "clean the filter" every now and then (lick the bugs off your teeth and spit them out... or swallow them), and you look somewhat ridiculous, but it works well, and it's something you can do on the fly vs having to wear something over your face. 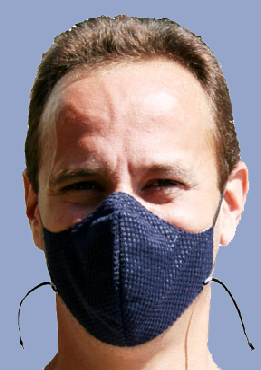 You could try a running mask — Google > "Running Face Masks"
Face masks are commonly worn by bicyclists and runners in the winter, but lighter-weight materials are available for runners concerned about inhaling dust and other pollutants. They are perfectly suited to keeping the bugs out. Take a piece of nylon screen and cut a 2"X1" piece. Wash thoroughly. Use this like an athletic mouth piece. Slide between the front of your teeth and back of your upper and lower lips. It sounds crazy but works great. Not the answer you're looking for? Browse other questions tagged running mosquitoes or ask your own question. How to Tell When Minimal Running Shoes Are Worn Out? What scientific evidence is there about the causes and prevention of running injuries? What foods attract mosquitoes to your body, and what can you eat that will repel them?